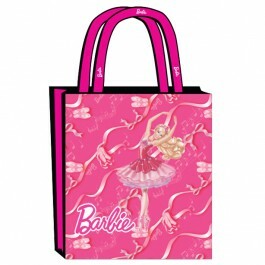 A Barbie birthday party is a great way to celebrate your birthday girl's special day. 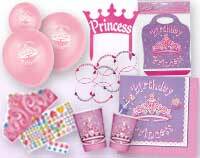 With some great Barbie birthday party ideas & Barbie Birthday party supplies you will be able to throw her a party filled with her favorite colors that she won't soon forget. 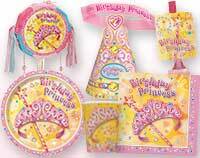 Order your needed Barbie birthday supplies and Barbie invitations at least 4 weeks out from the date you are planning to host the Barbie birthday party. This serves two purposes by allowing you to make sure you have your needed birthday goodies on hand by the date of the party, and gives guests plenty of time to RSVP. If weather permits, consider holding the party in your backyard, poolside, or at an area park. Indoor locales could include a banquet hall, a party event center, your local YMCA or recreation center. Encourage parents to stay and mingle while the children enjoy the Barbie party. This gives you some grown up company, and also gives you some help supervising the children during activities. If the party is going to be held outdoors or near water, be sure that there are plenty of adults to supervise the kids. Also find out if there are any allergies that you need to be aware of before allowing children to play near flowers where bees might be, or before serving up snacks containing nuts. Design some great invitations by using brightly colored pink cardstock. 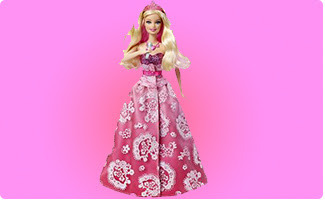 Embellish it with some die-cut shapes of dresses, houses, brushes, and even of Barbie if you can find some. Keep the party invitations simple by picking out paper that has a pink gingham border. Simply print your party details in the middle of the paper and pop them into the mail. 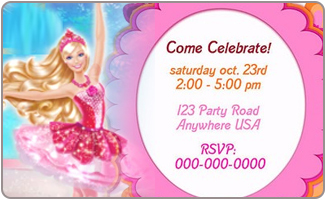 Take a picture of your birthday girl holding her favorite Barbie doll, and use that to create adorable Barbie invitations. Sprinkle glitter on the back of the envelope when you seal it. Be sure to use pretty pink glitter! If you don't want to use glitter then some Barbie stickers would be a good alternative. Decorate the invitations using sequins, glitter glue, and Barbie stickers. Encourage the girls to bring their favorite Barbie dolls with them for the party, or offer a few Barbie dolls and other accessories for the girls to play with. Make sure there is enough for everyone to play with. A Barbie Glam station is sure to be a lot of fun! Get some costume jewelry, tiaras, lip gloss, hand mirrors, and hair accessories for the girls to play dress-up with. A Barbie fashion show will give the girls a chance to show off their new looks after a Barbie makeover! Some bright pink hula-hoops will be a lot of fun for the girls to play hula hoop games with. A version of Hot Potato is sure to be a blast when you pass Barbie instead! The little girl left holding Barbie when the music stops is out of the game until the next round. 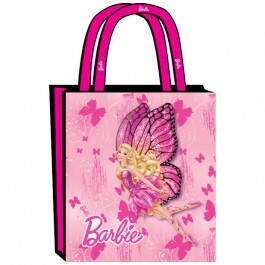 Hide Barbie dolls and other Barbie accessories around the party space for a fun treasure hunt that all of the girls can participate in. Pink or white sunglasses are just what every Barbie fan needs to keep her cool. Bubble bath and glitter lotion are fun for every glam gal. Hair bows and clips, along with a hand mirror and pink Barbie brush will help her to keep her tresses pretty. 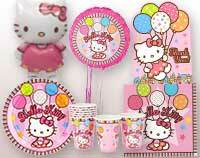 Barbie stickers, coloring books, temporary tattoos, and pencils are also a lot of fun Barbie birthday party ideas for return gifts. 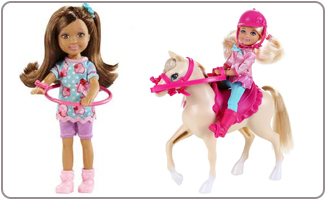 Explore our collection of girls return gifts for some pretty & inexpensive return gifts. A pretty pink Barbie cake is a must-have for any Barbie birthday party. 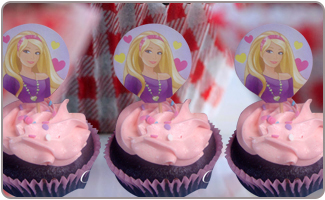 Use edible images of Barbie on the cake, or use some pretty pink Barbie cake toppers. Cupcakes with strawberry frosting could be just the thing for this Barbie party! Mini cupcakes, along with cake pops and cookies are some other tasty Barbie birthday party ideas. Cocktail hotdogs with pink toothpicks in them offer a savory snack. Add a small bit of red food coloring to macaroni and cheese to give it a bit of a pink hue. Use cookie cutters in the shape of stars and hearts to cut out both sugar cookies and sandwiches. Strawberry ice cream or a milkshake are sure to delicious and fun. Pink lemonade, or pink food-colored ice cubes in fizzy clear lemonade are fun Barbie birthday party ideas. Use lots of pink, white, and lavender balloons to decorate the party space. Tie balloons to the mailbox, and also indoors to the chairs the party guests will be seated at. 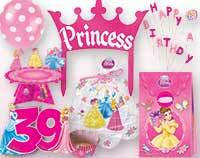 Weigh the balloons down with Barbie accessories or even the dolls themselves. 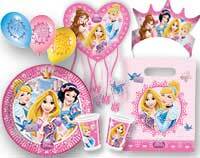 Some great Barbie birthday party decorations include posters and vinyl clings of Barbie, her friends, and of hearts, stars, and flowers. Use pink poster board to make a Barbie logo and place it on the wall above the party table. 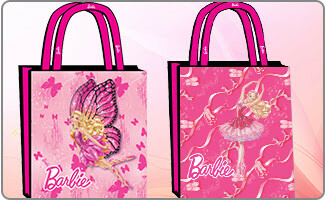 Some other Barbie party ideas include using colored printouts of Barbie on some of her various adventures. Sprinkle pink and silver sequins around pink strawberry scented candles, for a really cute centerpiece. Another great Barbie birthday party centerpiece is a Barbie doll surrounded by pretty pink silk roses. 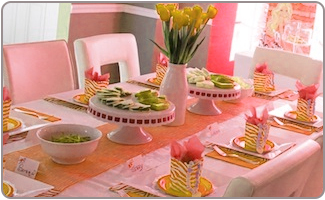 Tie pink tulle around the chairs in the party space, and tie pink ribbons around light fixtures, vases, and bowls. Pink feathered boas can also be a pretty addition to the party spot.